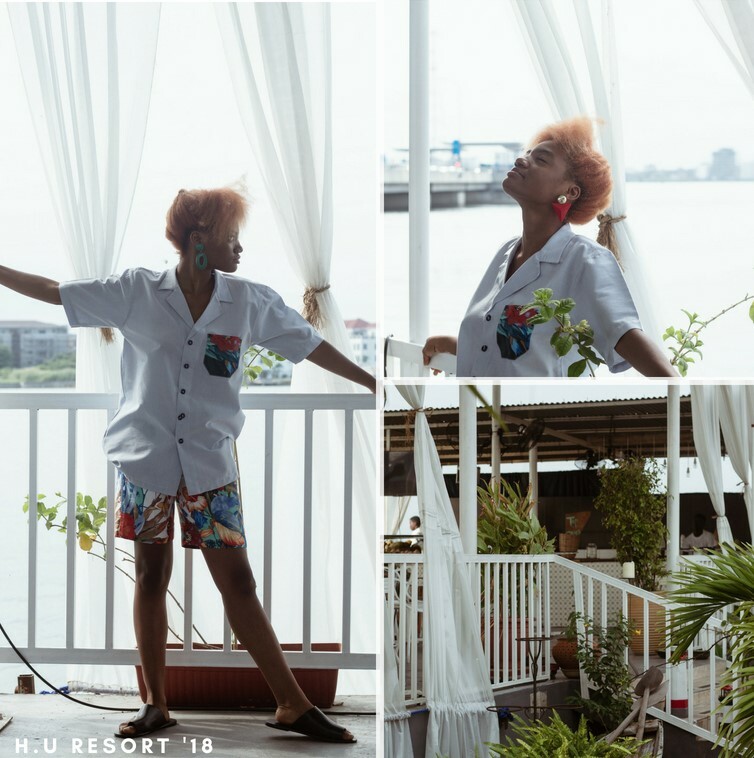 The versatility of choice inspired Henri Uduku‘s Resort 2018 Collection. 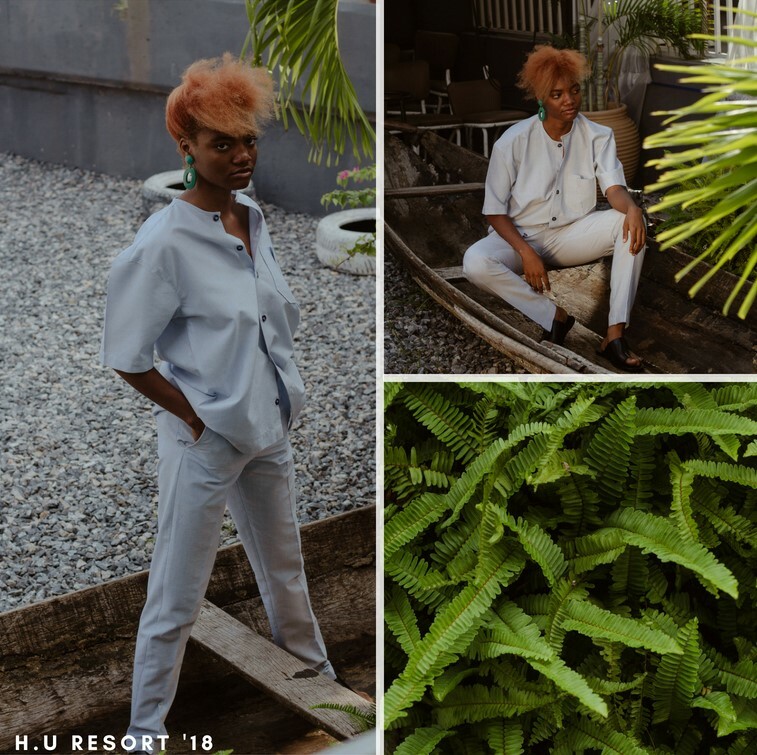 Soft, luxurious cotton, expertly tailored in similar matching shirts, pants and shorts contrasted with stripes, and prints in subtle colours that depict the brand’s aesthetics, acknowledging the weather but refusing to be beholden by it. 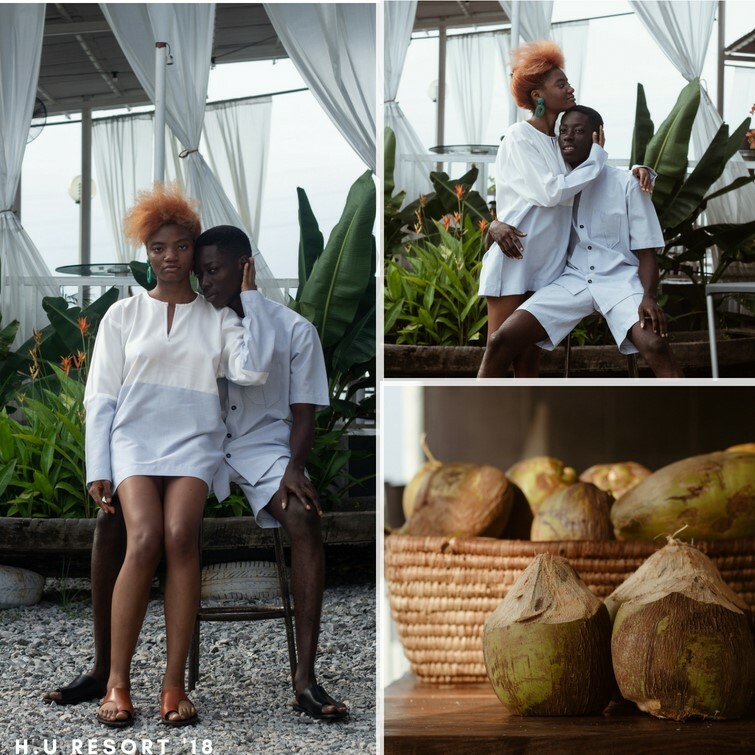 To match the season, the lookbook is shot in a scenic beach house with palm leaves and wooden structures, the silhouettes and the colour palette are very earthy and organic. 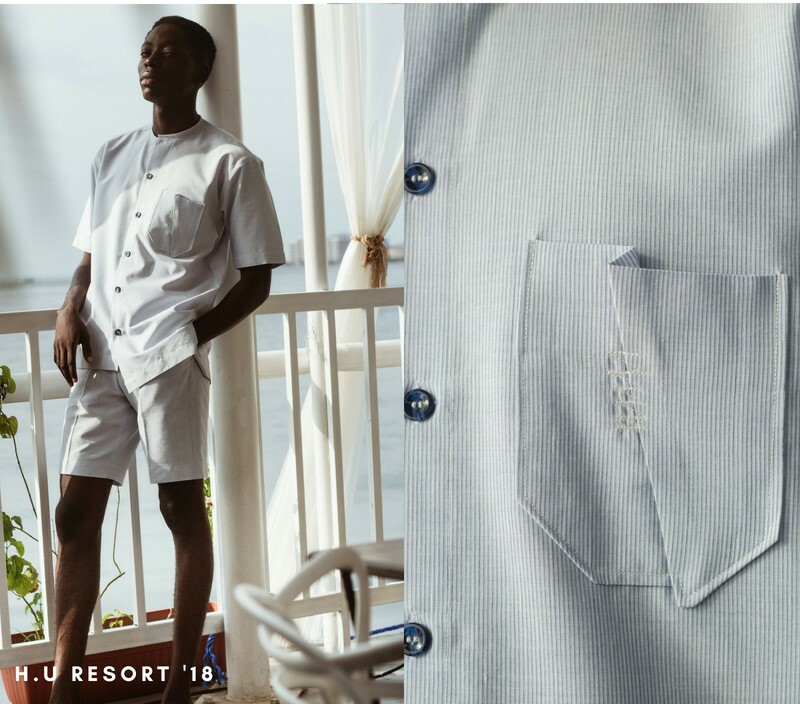 This season we work almost exclusively with linens and cotton, the preferred fabrics of the sun seeker. 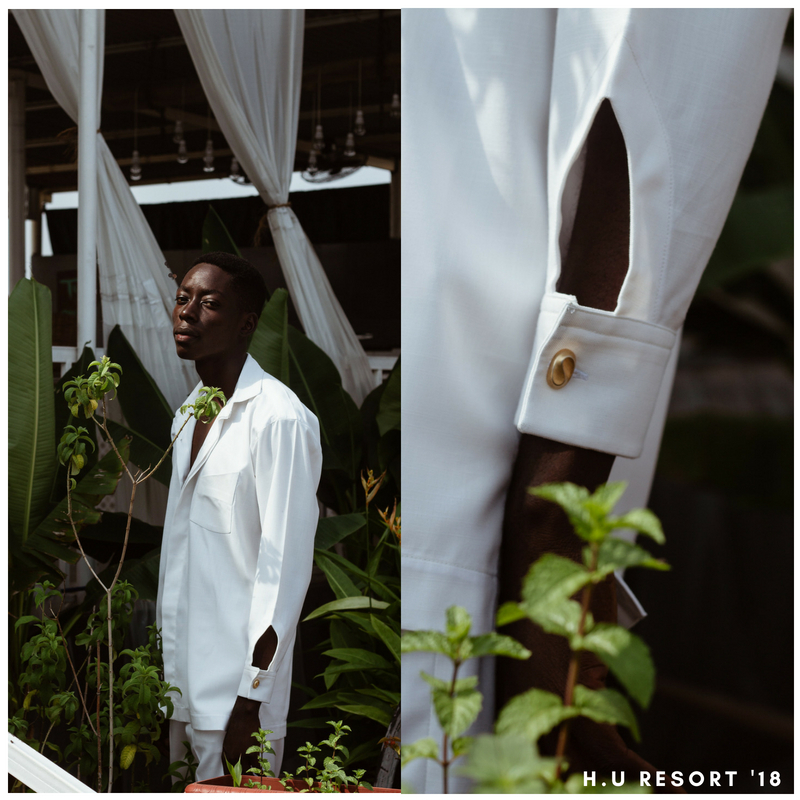 We embrace subtle colour blocking, and collars that conjure the sun-kissed beaches of Cuba and the Caribbean. 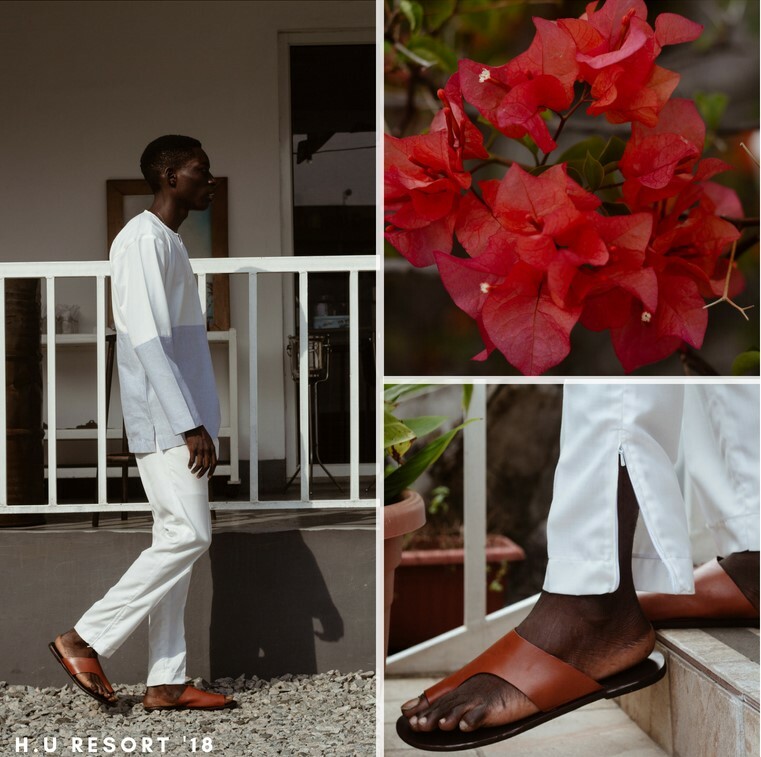 We offer tailored shorts, exaggerated sleeve cuffs and summer prints; zippered trousers that inspire the Henri Uduku man/woman to roll up their cuffs and trod off the safe path. 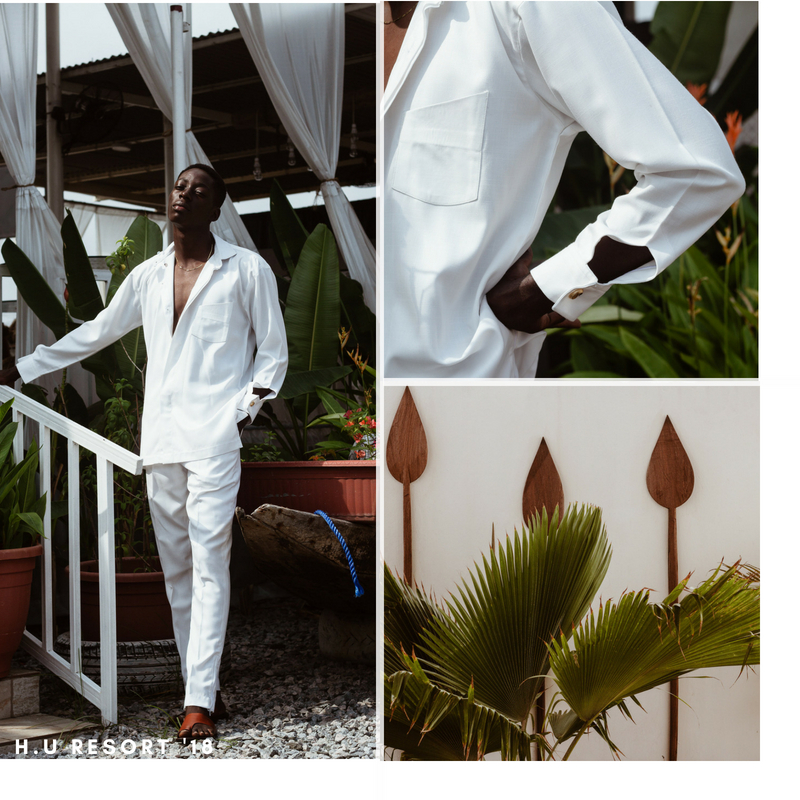 We acknowledge the weather but we are not beholden to it, we respect tradition but embrace the new. 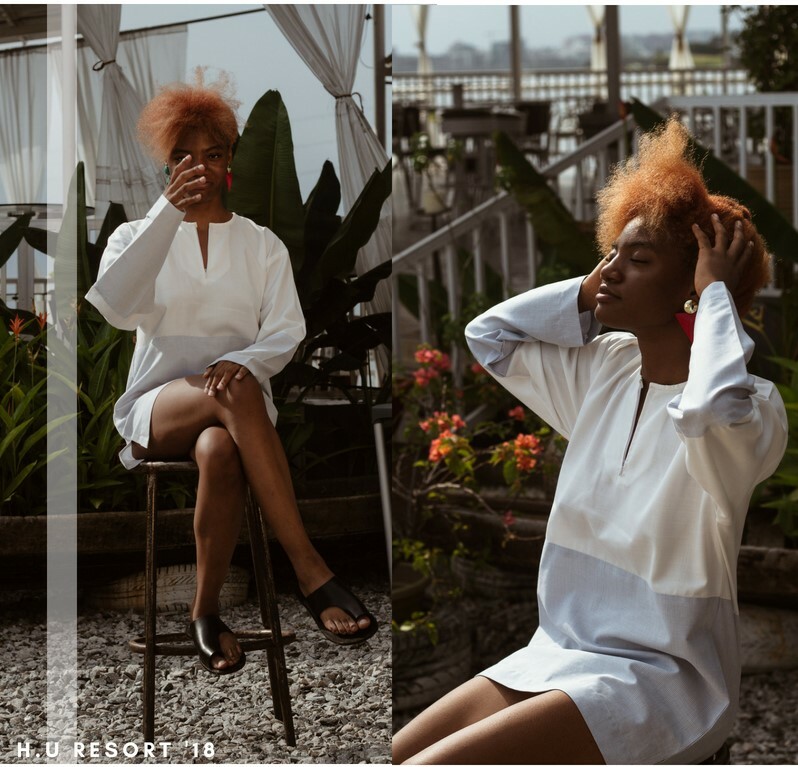 We give you wardrobe that inspires you to chase the sun. Roses Are Red, Violets Are Blue, We Love This Fabulous Valentine’s Day Collection & You Will Too!